Recognizing that there was a need to promote the awareness of the abilities of people with an intellectual disability participating in sport, the Special Olympics Manitoba Honourary Board took it upon themselves to develop an initiative that addressed this issue. The concept of Special Olympics Manitoba Awareness Week was born and in 2013, Bill 209 was passed by the Manitoba Legislature proclaiming the second week in June in each year as Special Olympics Manitoba Awareness Week. You can find this year's Schedule of Events by clicking here. Special Olympics Manitoba greatly values inclusion. 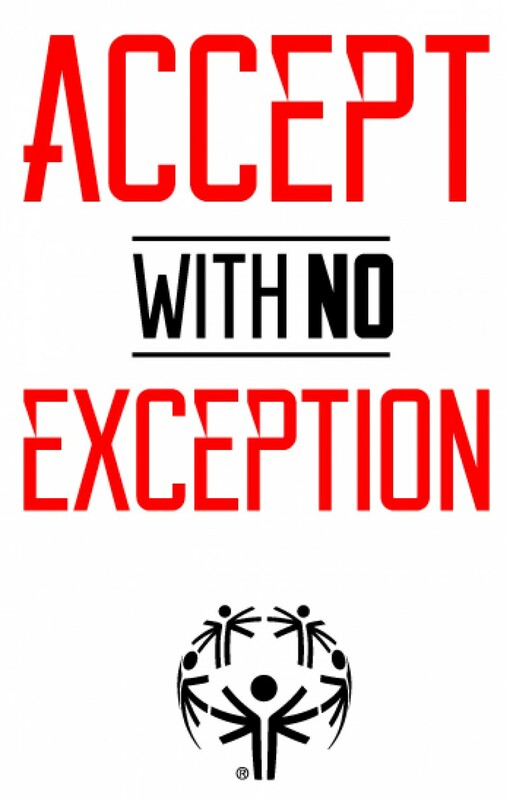 During Special Olympics Manitoba Awareness Week “Accept With No Exception” is the message of inclusion. Using social media to share the “Accept With No Exception” message is an excellent way to show support.